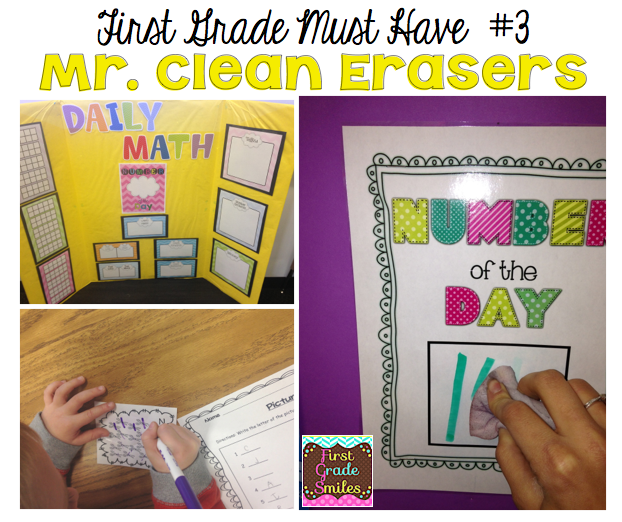 So yesterday I shared 3 of my organizational must-haves in my classroom. Today I am just sharing some things that aren't necessarily for organization, but they do help me in my day-to-day teaching so I thought I would share. First up is what I use as my only real homework for my students. I won't go into my feelings on homework (I'll save that for another post). But I do think that especially first graders need as much time reading as possible. Time to practice. Time to develop a love of literature. Time to spend with family members (hopefully). I hope you have at least heard of Reading A-Z. If not, feel free to leave and go check them out because their resources are endless! My school district has provided us with Reading A-Z accounts for about the last 10 years. I don't use everything and probably don't even know half of what they offer, but I do love their printable leveled books. They have both fiction and nonfiction texts - at least 25 per level (at this point there are probably way more than that). So every Monday I send home 5 leveled books for my students to read throughout the week. I choose books at their independent level and I tell the parents to try to read each book twice to work on fluency. Each week I switch out the books. The teacher who retired before me had these all numbered, which was genius, so I just grab the next 5 books in the bin. It is a little time consuming, but I've gotten pretty quick at it. I would rather spend some time doing this than time grading homework papers. Maybe that's just me! The other great thing is these books are just paper so if they don't come back or get ripped you can just print out a new one. 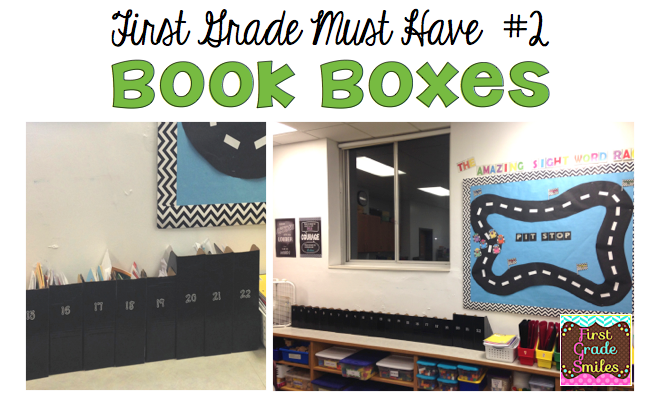 My next classroom must-have are my book boxes. These are just cardboard magazine holders that I spray painted black. I tried to pretty them up with colored duct tape but it didn't stick enough on the glossy spray paint so I decided it wasn't worth it. Each student in my room has a book box. Every couple weeks we make time to switch books in the boxes. These books are also leveled, but I do allow them a few "off level" books to put in there for fun (usually library books or seasonal books that I have out on display are hot additions). My goal is to keep them loving reading by giving them opportunities for choice, and finding books that interest them makes a huge difference. I also don't really love having students go back and forth to my library area over and over again and thus not putting books back where they go. Usually when this was an option the kids wouldn't actually spend time reading because they were too distracted. Now my students will sit for a long time with a bunch of different books to read and not get bored. No my final must-have may sound a little silly to some, but Mr. Clean and I have a bit of a love affair! His Magic Erasers are truly magical and are a dry erase dream come true!!! I use dry erase markers on most things that I have laminated: centers, charts, center board, birthday chart, etc. So I use these babies... all. the. time! And did you know that Magic Erasers will even erase things like Sharpie (not so permanent, eh?)! Once I had a substitute teacher use Sharpie on my white board and thankfully Mr. Clean came to my rescue. So that wraps up this month's Weekend Warriors. Thanks for joining me! Maybe you found a new must-have for your classroom. Feel free to tell me about your classroom must-haves in the comment section below. You are a genius - Mr. Clean erasers!?! How did I not know about this! Thank you! 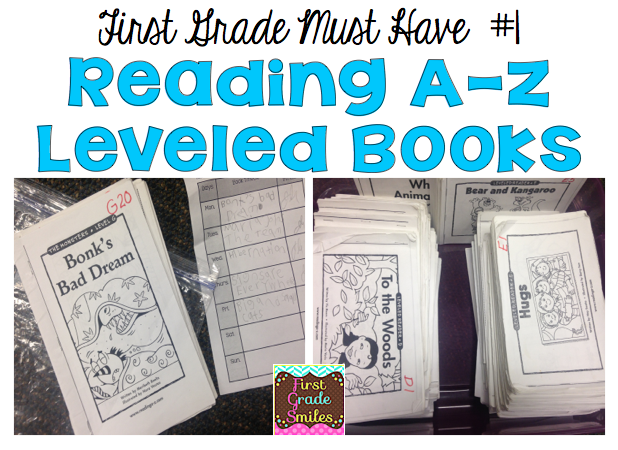 I use Reading A-Z too and it's great! Reading A-Z is a life saver! And, you are right, there is so much on that website. Layers and layers of resources! Love the Mr. Clean eraser tip!